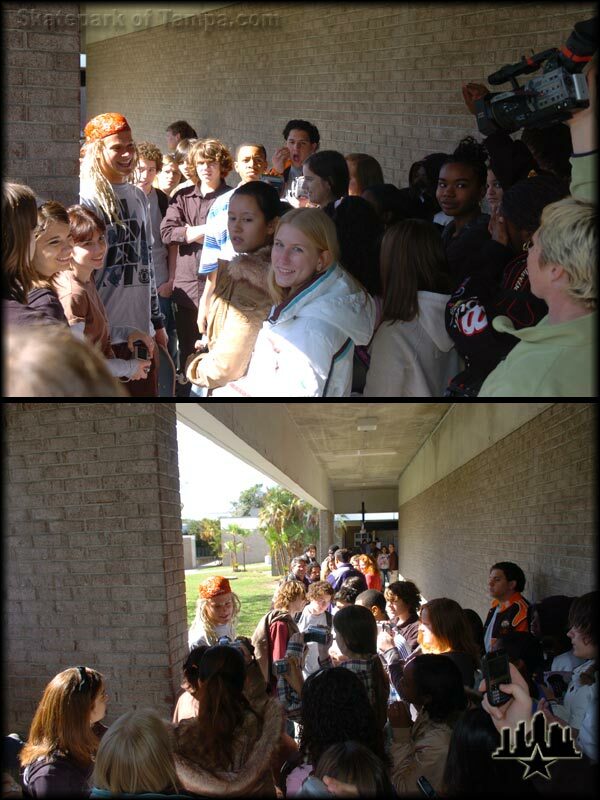 I was recently at Tampa Bay Tech High School. 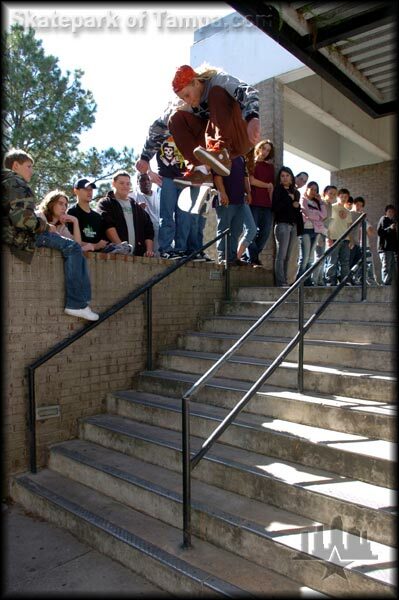 If you’re from Tampa, you know about the 10 stair rail there. 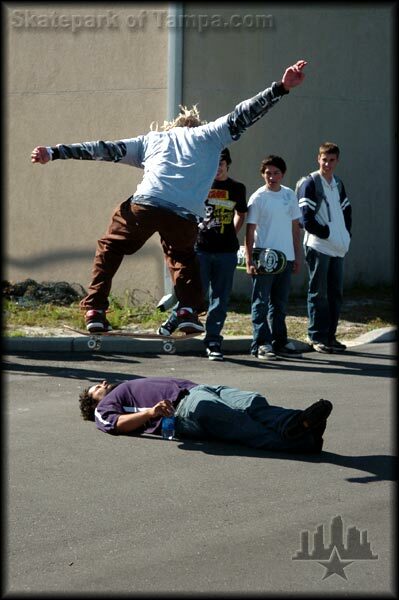 On the day I went, Paul Schmitt and Tosh Townend were there for the Create a Skate program. 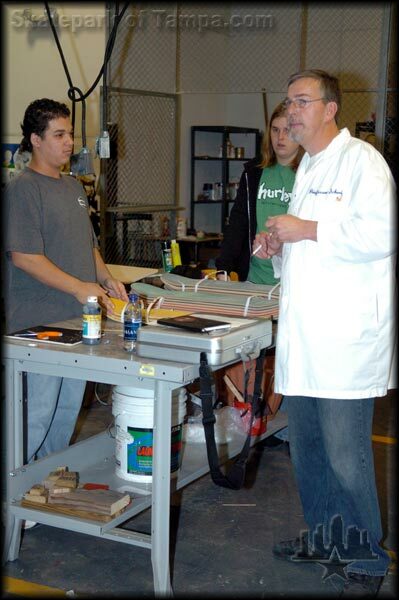 It’s a program that teaches high school students all about how a skateboard is created, with a very hands on approach. Students make their own boards and get to keep them after the process. 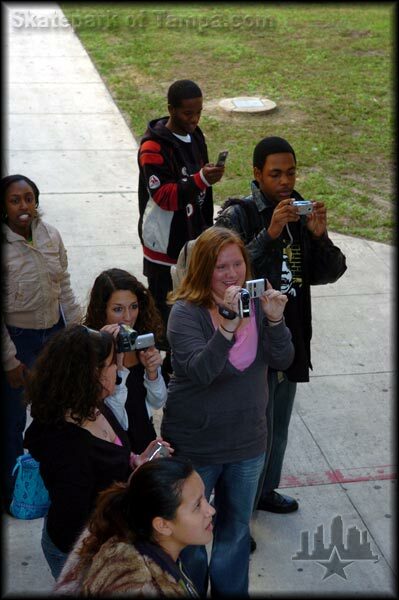 If high school was that interesting when I was going, I would have gotten a lot less sleep in class. Check out a few photos I took of Tosh who did a one man demo as part of the program for all the students in the class. A few newspapers picked up the story, also. Those clippings are below. 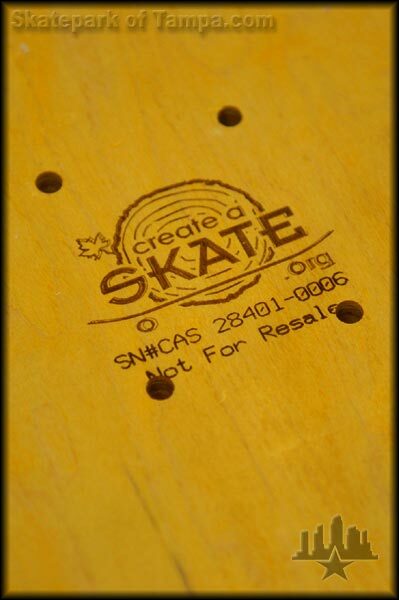 Check out createaskate.org for more info. 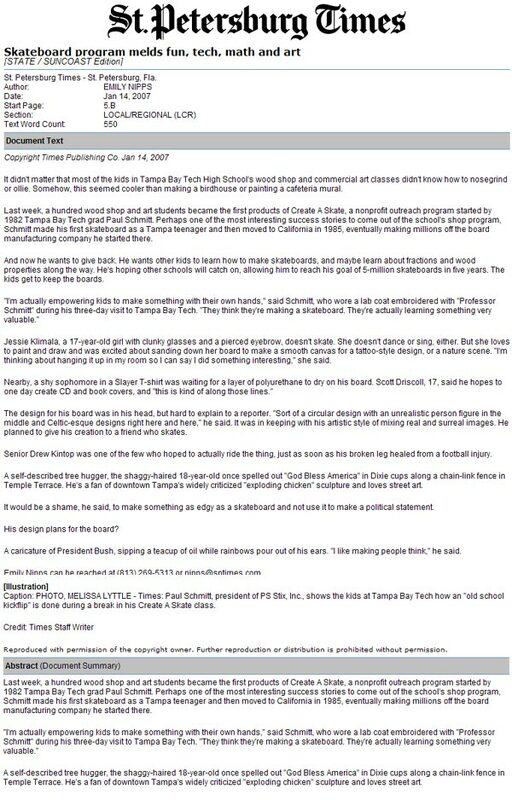 Here's an article from the St. Pete Times by Emily Nipps. Haha - Nipps. Am I the only one laughing at that? Uhh, hey Ms. Nipps, is it cold in here or is it just you?